´A smile is the best make-up that any girl can wear´. Marilyn Monroe is an absolute poster woman for girl power and this wall quote sticker is perfect for displaying that message! 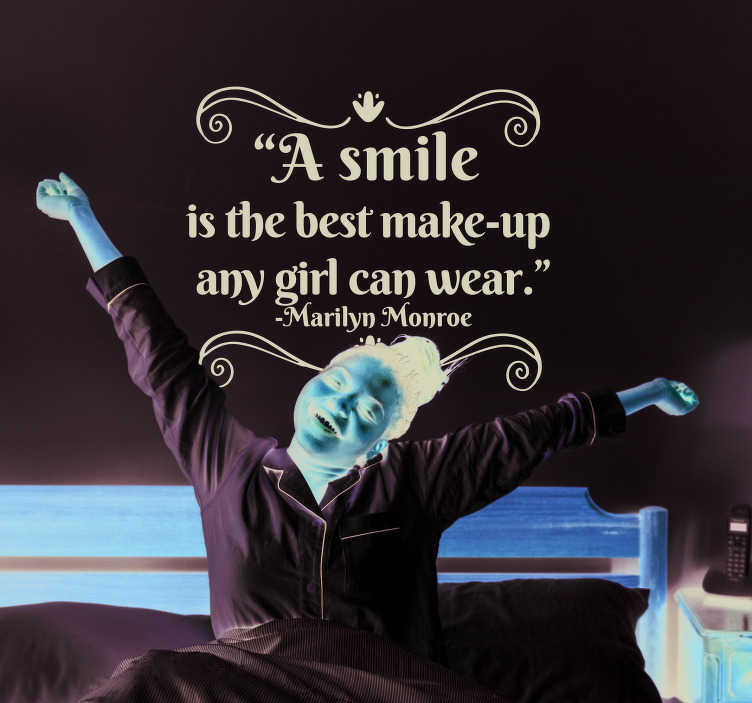 Ideal bedroom decor for those who need the odd reminder to wear a smile early in the morning!